Every long weekend I imagine that I will actually complete an art project. Most weekends, I fail. Memorial Day was no exception, as long delayed cleaning chores consumed most of my time (well,OK, so did hanging out with family and friends! 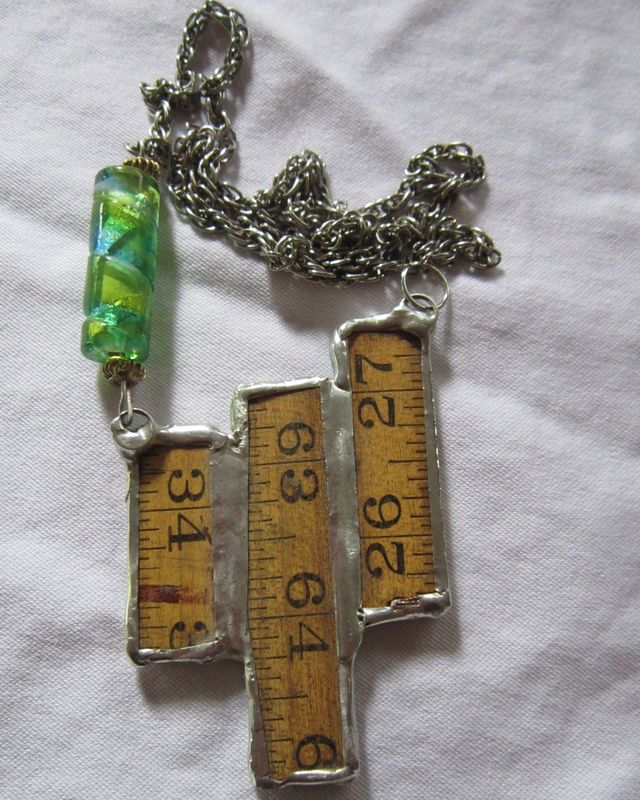 But I was determined to complete SOMETHING, so I took a project that was almost done–a soldered ruler pendant–and finished it by adding a glass bead component to one side, jump rings and a really nice length of chain I found at a yard sale. Voila! 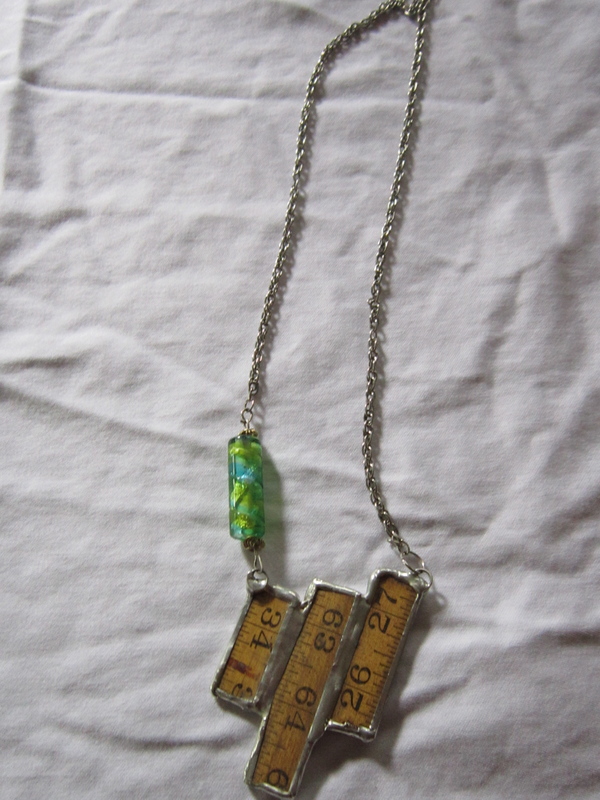 a finished project. Of course, this actually took a long time. 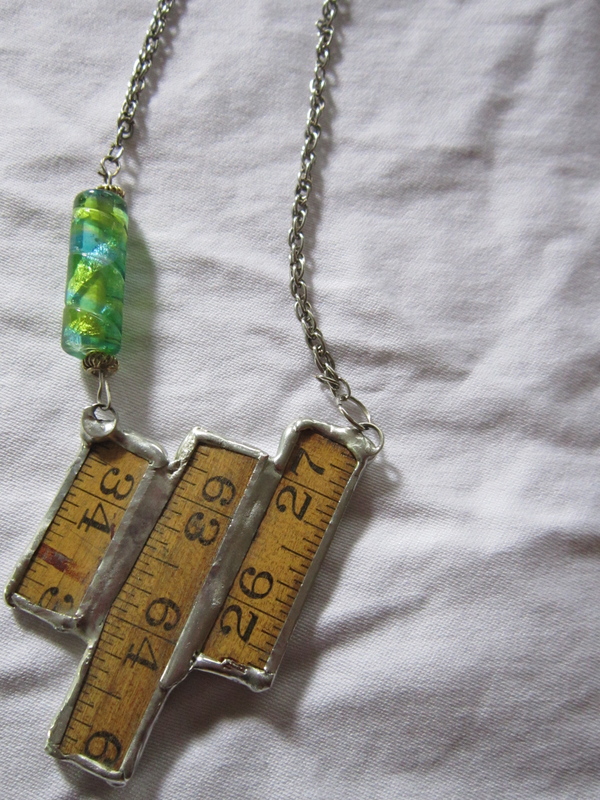 The rule is a great old folding ruler that I cut into pieces with “cut anything” scissors. A few flying wood splinters later I had a pile of ruler chunks, which I then wrapped with copper foil tape and soldered . I had originally planned to make single pieces (and have plenty still to finish), but the juxtaposition of the different lengths made a nice bib necklace with a bit more soldering to link the pieces together. Anyway, I may not have time, but I sure have inches!